What did BOU think raising bank rates at a lunatic speed just because they wanted to mechanically reduce inflation? That banks would reduce lending rates as easily as it cuts its meaningless CBR? That is not how economics works! Conventionally, banks exist to facilitate economic transactions and make people’s lives enjoyable. In Uganda, however, these financial entities are fast becoming a nightmare of sorts. Businessmen have lost and continue to lose their properties to banks. Salaried workers are concerned they might not be able to enjoy Christmas since banks are as if on a mission to wipe out their monthly wages that they staked as collateral to secure salary loans. Spouses are contemplating dissolving marriages and hand over their loved ones to banks that gave them the so-called wedding loans to pay for bride price. The list is endless. The cause of this mayhem is the high lending rates that banks are charging borrowers. The lending rates have stayed high despite Bank of Uganda’s relaxed monetary policy. While issuing the Monetary Policy Statement (MPS) for December this year, he was as well concerned that commercial banks have refused to lower the rates at which they lend money to Ugandans. He said since they peaked at just over 30% in March 2012, lending rates have reduced by just three percentage points. This, despite BOU’s reduction of the Central Bank Rate (CBR) — the policy rate that is meant to be used as the reference for commercial banks when setting their own lending rates — by over 11 percentage points from 23% to 12% in the same period. Before issuing the MPS for December, Mutebile had a few days earlier warned commercial banks that if they continued defying his monetary policy direction, he would be compelled to take action against them. Speaking at the launch of Diamond Trust Bank’s Premium and Mobile banking services, Mutebile confirmed what we had come to realise — the he had lost control of banks and his monetary policy. The banking executives in audience were visibly unmoved by his threats, choosing to laugh them off. Mr. President, I have written several pieces in these very pages before warning you and your government how you were bound to face tough economic times as a result of your reckless leissez-faire economics and faulty fiscal and monetary policies. When inflation rose into double digits, beginning in March 2011, both BOU and your government told us that the high inflation was a supply-side phenomenon — caused by factors that hampered supply of goods and services, particularly food shortages due to drought and floods, and high fuel prices following the drop in supply of oil as a result of the geopolitical tensions in North Africa and Middle East during the Arab Spring. However, the monetary policy stance and actions of the BOU put their explanation in jeopardy. The rate at which the BOU tightened the monetary policy, by raising the CBR amid increased government spending and “thriftlessness”, left many in total confusion of what really was going on. The CBR was rapidly increased from its pre-crisis rate of 14% to 23% in eight months! The Bank Rate, the rate banks actually pay when they borrow money from BOU, was raised from the pre-crisis 17% to 29% in November 2011. This rapid increase in both CBR and bank rate was intended to drive commercial banks’ lending rates up in order to mop-out excess money from the public as a measure to arrest the high inflation. This mechanical way of dealing with macroeconomic instability, typical of BOU, left a few questions unanswered. Whoever has ever sat in a graduate economics class was left asking, “What exactly had caused the high inflation in Uganda?” If indeed the inflation was caused by supply-side factors (shortage of food and fuel), as government and BOU were telling us, why then did BOU concentrate on mopping out money (a demand-restricting initiative) instead of providing more credit to producers to stimulate production in the medium term? Mr President, like I have been writing in these pages before, your failure to realise that the current leadership at BOU has run out of steam was primary reason the economy continues to struggle under bouts of high seasonal inflation, rapid depreciation of the shilling and high credit cost. Mutebile’s team acts as if price stability is independent of other structural conditions in the economy. They are always looking for quick-fix solutions to high inflation without thinking about their long run effects to the economy’s performance. BOU is suffering from the very bug that seems to have attacked every other government department — fire-brigading. Whenever inflation increases, BOU intervenes by mopping out money. 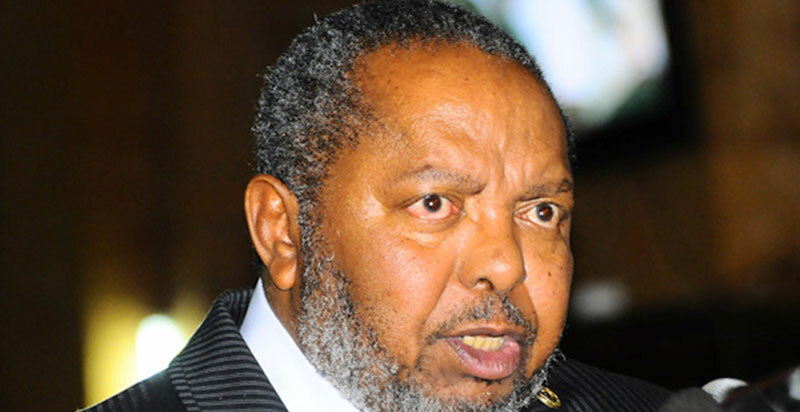 Mutebile acts as if he studies a single brand of monetary economics; mopping-out money. The inflation-targeting policy, Mutebire is obsessed with, is running out fashion. 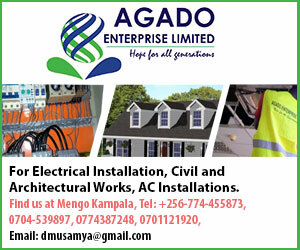 It has not only failed Uganda; it has also failed even advanced economies and many have either abandoned it or in the process of abandoning it. Just this week, the in-coming governor of the Bank of England (BOE), Mark Carney, suggested he was going to scrap inflation targeting in favour of a nominal gross domestic product target. The who-is-who of England’s economists expressed their unreserved support for his suggestion. But it does not require a professor of monetary economics to know that inflation targeting has caused more harm than good. Mutebile and his colleagues know that just like prices in goods markets, interest rates are sticky downward. So one wonders, what they were thinking raising bank rates at a lunatic speed just because they wanted to mechanically reduce inflation. What did they expect banks to do when they compelled them to raise rates to over 30%? That they would reduce them as easily as the BOU’s Monetary Policy Committee cuts its meaningless CBR? Alas, that is not how economics works! But it all boils down to the fact that Mutebile is no longer fully in charge of his intellect and policy synthesis capabilities. Mr President, although your beloved governor used to be very steadfast, intellectually persuasive with convoluted but noticeable confidence, every passing day we see a Mutebile who is becoming visibly frail, intellectually less persuasive and less confident. In his own public conferences and meetings, the man holding the most important office in our economy struggles to keep himself awake. He also struggles to read very short statements, frequently skipping, misreading or misspelling out words as simple as ‘management’! During a recent Bank of Uganda Public Lecture at Serena Hotel, I sat near one of the very senior government officials and I heard him murmur, “This fellow has really wasted his life away.” He was referring to Mutebile as he struggled to flip a page of his own speech to connect a sentence he was reading. It took him nearly a minute fidgeting to open the page and complete the sentence he was reading. It was a huge embarrassment not only for Mutebile but also for BOU and the country as the deathly quiet audience, comprising a reasonable number of who-is-who of Africa’s economic leaders, waited in bewilderment. Analysts always attribute Mutebile’s fast health degeneration to heavy drinking. We hear the unquestionably brainy economist finds it exceedingly difficult to keep himself sober. And as expected the gin has had its toll on his health, intellect and productivity. Mr President, it’s you to blame for the poor quality of leaders Uganda has nowadays. In the years gone by, when you were still vigilant and cautious when appointing leaders, you used to despise people who were heavy drinkers, smokers, and serial womanizers. You used to call it indiscipline for one to drink himself to Mutebile’s level. However, despite the apparent evidence of Mutebile’s health condition, thanks to his irresponsible lifestyle, in 2010 you renewed his contract to give him a third term, yet the writing was on the wall the hitherto prolific governor had outlived his usefulness. Granted, it is Mutebile who championed the economic reform and recovery process of Uganda beginning in late 1980s up to the turn of the new millennium. Like I wrote in these pages not long ago, Mutebile had his prime moments in the 1990s and early 2000s. By 2010 he had run out of ideas to manage an economy that is out of the reform phase. Today, he appears as though he is unfocused, indifferent, and unenergetic to steer an economy that is increasingly becoming more sophisticated and cumbersome to manage. I have been writing here that the emerging Ugandan economy needs new blood and brains both at BOU and Ministry of Finance. I wrote recently that in Louis Kasekende, Mutebile’s deputy at BOU, we seem to possess a guy better suited to guide the post-reform economy into the take-off stage. He was a star performer at the World Bank where between 2002 and 2004 served as Executive Director before having a three-year distinguished service at African Development Bank as Chief Economist. This economy needs a new lift that Mutebile gave it in early 1990s, and in Kasekende I see a technocrat capable of providing exactly that.